Each month, I support new and existing clients via my online accountability groups. I assist each client with finding the right program to help them reach their goals. Then off we go to tackle our goals together, along with the other women in the group! On Monday, I posted this photo in my challenge group- not realizing most people don't realize how far I've come. One challenger commented "Wow - I thought you had always looked this way." Fact: I am now 30 pounds less than I was in the photo on the left. Yes, 30 pounds. Despite being a nurse, despite loving healthy food - I never truly had a handle on my nutrition until I found the 21 Day Fix - and food is definitely my weakness. I love FOOD. I love cooking, I love eating, I love trying new things, I love smelling food, looking at food - ummm, you get the idea, right?? I took nutrition classes in college - now I realize much of what I learned was completely outdated. Most importantly, nothing I learned truly gave me the tools I needed to succeed in my own journey. 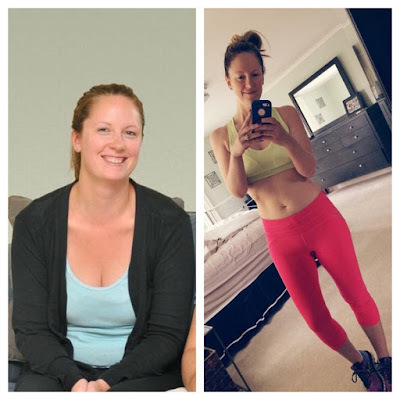 The structure of the program + 30 minute workouts + Shakeology and of course, the support of the other women in my online groups completely changed how I approached my own health and wellness. Now, having the ability to pay it forward as a coach, means sharing my story and letting you know I am NOT "perfect", this has been a journey in so many ways. I struggle, I have plenty of slip-ups, but its about never giving up. Always striving to make the best decisions possible and loving ourselves along the way - that is the key. So please don't look at a photo of me today and think I have always been in control of my nutrition and fitness. If I can do it, so can you - we can do it TOGETHER. My next accountability group starts August 31st and I'm looking for 7 more women to join me and support each other for 21 Days of dialed in nutrition + fitness! The best part of this program? I am never hungry - no gimmiks, no magic pill, just real food in the proper portions. If you think this group could be the solution for you, simply fill out this easy online form so we can connect!